Clarification: Transport Canada has extended the public consultation period to Tuesday, March 26. The printed version of this article included the original deadline of March 11. The two municipalities involved in a potential port authority amalgamation have provided some similar and some differing opinions on the move. Transport Canada has the intention to merge the Oshawa and Hamilton port authorities into one organization. The move, announced early last month, came as a surprise to both city politicians and senior officials at the Oshawa port. The federal government is soliciting public feedback until March 26. However, early last month, city council requested Transport Canada extend the consultation process to 90 days. According to city staff, Transport Canada has not responded to that request as of yet. Oshawa city staff chimed in with its opinion in a recent report to the development services committee. Staff note while the relationship between the city and port has improved over the past few years, it is not nearly as co-operative as that between the City of Hamilton and its port. This opinion is also shared by Greg Norton, Hamilton’s director of economic development, in his recent report to the city’s council. Specifically, Norton notes the city of Hamilton and its port jointly develop recommendations to matters such as engineering requirements, urban design, landscaping and other site planning issues, measures not currently taken in Oshawa. Oshawa staff recommend that should the amalgamation take place, the city continue to push for the discontinuation of industrial development on the west wharf of the harbour, and seek guarantees that no developments such as an ethanol plant are planned for the local port. The report also raises staff concerns about the potential governance of a merged port authority, as well as where such a body would be located. It also calls for meetings to be rotated between Hamilton and Oshawa. According to commissioner of development services Paul Ralph and city planner Warren Munro, it is unclear whether a new entity would be obligated to fulfill previous agreements between the city and the OPA. This includes a 1976 agreement that binds the city to build a full-serviced extension of Harbour Road. The port triggered the agreement last September, but returned with an amended proposal of extending the road with a simple driveway. City council has since tabled the matter and not formally responded to the port’s request for the city’s updated view on the road extension. Should Transport Canada move forward with its plans, city staff are hopeful the federal government would convey a 120-metre strip of land on the east wharf to act as a buffer for the nearby Second Marsh. The city has previously asked for ownership of this land, but was rebuffed by the federal government. In its latest Harbour Road extension proposal, the OPA has offered to retain the 120-metre buffer for 30 years. “The City prefers to obtain ownership of the buffer to ensure it is protected over the long term,” Ralph and Munro’s report reads. Staff also stressed the need to include “Oshawa” in the name of any merged port authority. The report characterized the Hamilton Port Authority as being a “relatively strong financial position” which includes operating surpluses, ‘significant’ assets and little debt. “The OPA, in turn, would appear to be in a relatively weak financial position marked by operating losses, declining asset base and increasing short-term debt. Based on 2017 financial information, the Hamilton port has a 2.79 per cent current assets versus liabilities ratio in comparison to Oshawa’s 0.04 per cent. 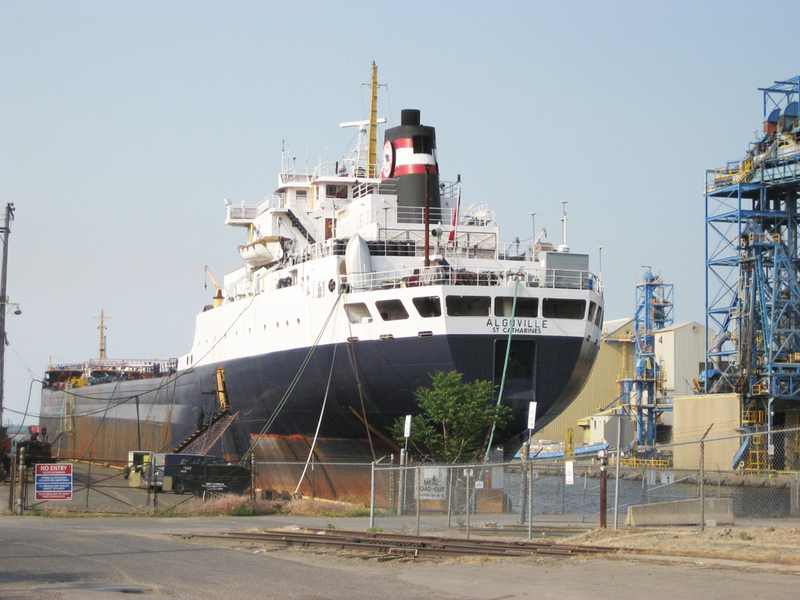 Hamilton staff conclude it is possible the reason for the amalgamation is “financially motivated,” an opinion shared by long-time critic of the Oshawa Port Authority Larry Ladd. “Can’t be any worse than it was. That’s my opinion,” Ladd told councillors at a recent committee meeting. Ladd said the port authority has “hid under the federal umbrella for decades” and in his view, has “played” the City of Oshawa for a long time. He urged councillors the “future of Oshawa’s waterfront” was in their hands. City council authorized staff to forward its report and other comments regarding the proposed amalgamation to Transport Canada ahead of the March 26 feedback deadline. Interested parties can submit their comments or feedback on the proposed amalgamation by mail or e-mail; details can be found at www.tc.gc.ca/en/services/marine/ports-harbours/proposed-amalgamation-oshawa-hamilton-port-authorities.html.